AURORA — Lucky You 777, tucked away in a nondescript strip mall on Havana Street, does not look or sound much like a casino. Besides a bank of computer screens lit up with colorful sweepstakes games, there are no stern-looking pit bosses patrolling the floor, no cocktail waitresses serving drinks and, most noticeably, no noise. But Rep. Polly Lawrence, R-Roxborough Park, says businesses like these — often referred to as "Internet sweepstakes cafes" or "cybercafes" — are essentially illegal gambling operations that "feed on" those least able to afford it, such as seniors and low-income customers. Under Lawrence's bill now moving through the state legislature, Lucky You 777 and any other establishment in Colorado equipped with "simulated gambling devices ... used to award prizes to customers" could find themselves out of luck — and out of business. 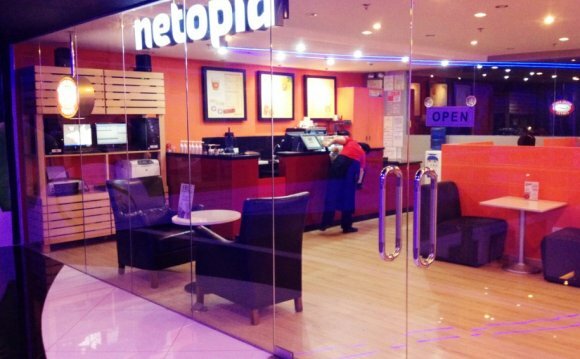 Cybercafes typically sell Internet access to customers, who can use the computers to play a variety of games that dole out points good for cash or prizes. Lawrence said there are about half a dozen of the cafes in the state. "Their computers are set up to work exactly like slot machines, " Lawrence said. "But there are none of the background checks or requirements that casinos have in place — like having to have a certain amount paid out." Colorado voters, she noted, have given their blessing to gambling in only three communities — Black Hawk, Central City and Cripple Creek. "To me, these businesses are a violation of the Constitution and what the people voted on, " said Lawrence, whose district covers Cripple Creek. Her bill, which was co-sponsored by Rep. KC Becker, a Democrat who represents Central City and Black Hawk, could get a final reading in the full House as soon as Wednesday. Colorado could join Ohio, Florida and Mississippi in banning Internet sweepstakes cafes. The owner of Lucky You 777 didn't return a request for comment Monday. But Dan Corsentino, former Pueblo County sheriff who now works as a consultant for Florida-based Cyber GT Systems, suspects that the gaming industry is trying to ram through the cybercafe ban in the waning days of the 2014 legislative session. He said Cyber GT, which has cafes in Pueblo and Colorado Springs, is not an illegal enterprise. It sells Internet access, with which customers can do as they want, he said. "You don't have to play the games, you can just surf the Web, " Corsentino said. "It's like a buffet." He wants to see the cybercafe industry taxed and operators in the state vetted. He recently approached Lakewood to see if the city would be open to Cyber GT cafes launching there. On first reading, the Lakewood City Council on Monday evening passed a one-year moratorium on the licensing of any such operations while the state figures out what to do about them.